Here is another rare old rum from Guyana. The El Dorado Port Mourant 1997 was produced by Demerara Distillers on their Wooden Double Pot Still, also known as Demerara Vat. In this setup the first Vat distills directly over to the second Vat. This style of production (this “marque”) is known as PM. This rum is made from from molasses like all other El Dorado rums. 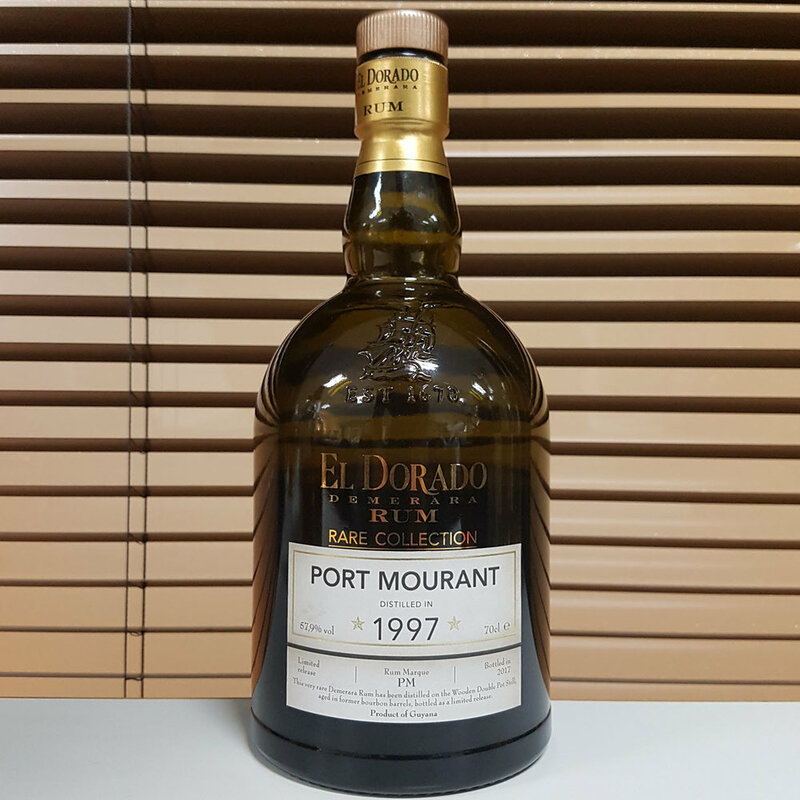 The El Dorado Port Mourant 1997 has been matured in ex-bourbon barrels, and aged for the full 20 years on site in Guyana. It was then bottled at cask strength in 2017. You can buy the El Dorado Port Mourant 1997 at specialist stores in Norway now at NOK 1700 (10190101). Nose: Light and delicate, bordering on fluffy. It is still very rich though. Fruity (dried and fresh fruits), with a fair helping of vanilla. A touch of oaky spices in the background. I find it slightly funky, but that's all good. Taste: So so rich! Much more spicy than on the nose. Still fruity with added sweetness now. Hints of funkiness. Finish: Long finish. Even sweeter, and slightly darker in character now. Homemade caramel pudding, cinnamon, demerara sugar, vanilla, and oak. A touch green in the end - tomato plant and mint. Comments: Another lovely rum from El Dorado. Make sure to also check out the El Dorado Enmore 1996.